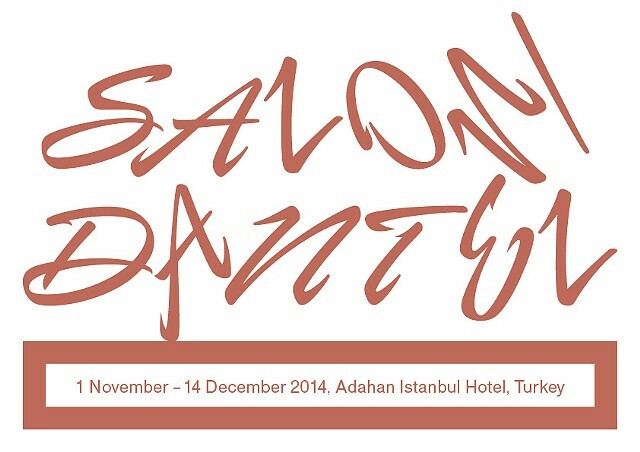 Exhibited at the SALON/dantel www.salon1.org/ in Istanbul is realized as a part of the 2nd Istanbul Design Biennial Parallel Event Programme - a traveling, custom-made exhibition based on the concept of SALON/KANT, held in the summer of 2013 in Amsterdam; curated by Gijs Stork, Manon Schaap, and Ozlem Yalim Ozkaraogluglu. Interwoven 2014. 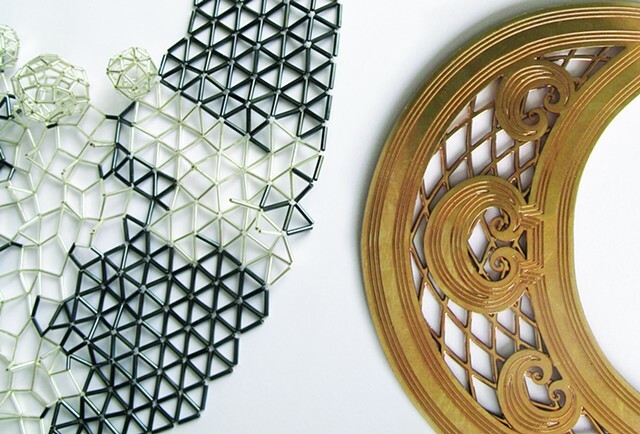 Exhibited a Lace Collar and a Process Presentation Board at the DIA stand at DesignEx 2014, which has launched the DIA Textile Practice Group's Interwoven Exhibition. The exhibition was entitled "Process to Product" www.dropbox.com/s/9t4n1nkz9gh21ea/INTER? Exhibitors' proposals incorporated digital imagery capturing their process and product, to contribute to an exhibition that aims to inspire bespoke design conversations. Curated by Gitte Lindberg McGloin and Claire Beale. 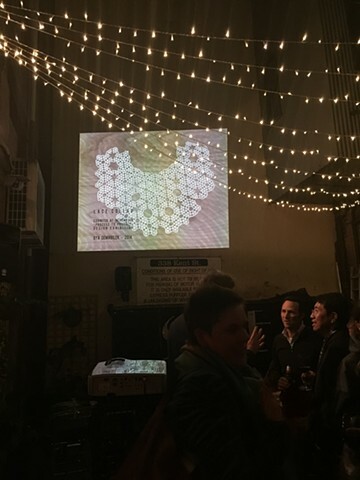 Exhibited at DO | Visual Symposium: in the mist of knowing, part of Powerhouse Museum’s ‘Sydney Design’ presented by UNSW Australia Built Environment’s Design Research Collaboration. 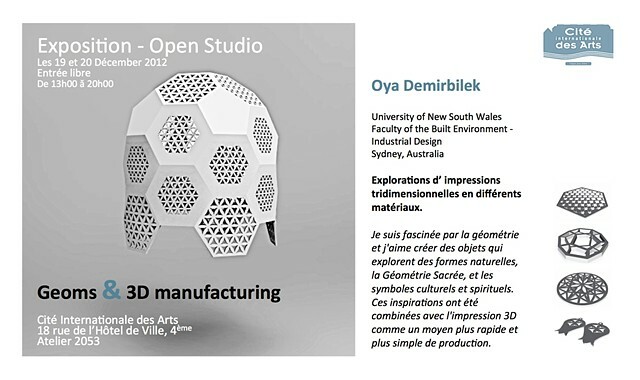 This exhibition was a curated collection of 20 industry and academic designers’ work transformed into a 3D visual symposium. Place: Since I Left You 338 Kent Street Sydney, 21 August 2013 - Sydney 2013. 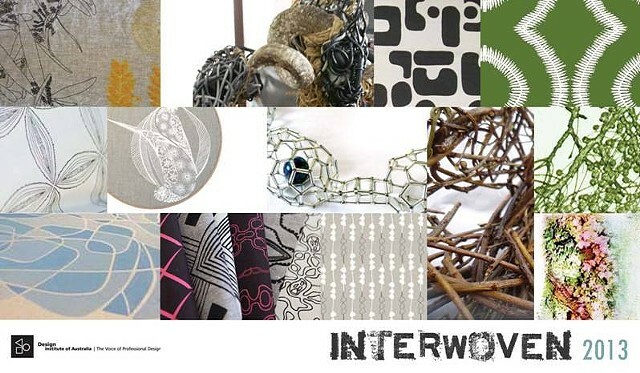 Interwoven 2013 – an exhibition curated by Gitte McGloin and Philippa Wilkinson that brought together a creative force of designers across textiles, fashion and art from QLD, NSW and Victoria. 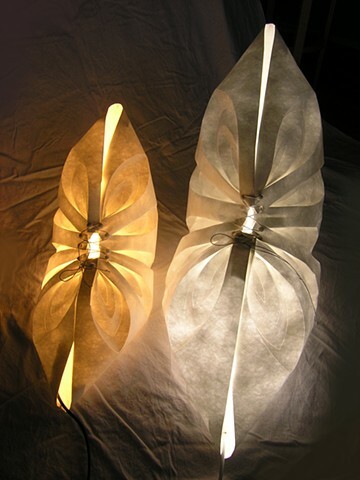 Work exhibited during my artist residency at the Cité internationale des arts in Paris featuring a series of 3D manufactured flat Geoms (pendants and earrings), a selection of Sacred Geoms and a range of 3D manufactured products, including lamps, tulips, pomegranates, and candle-holders. 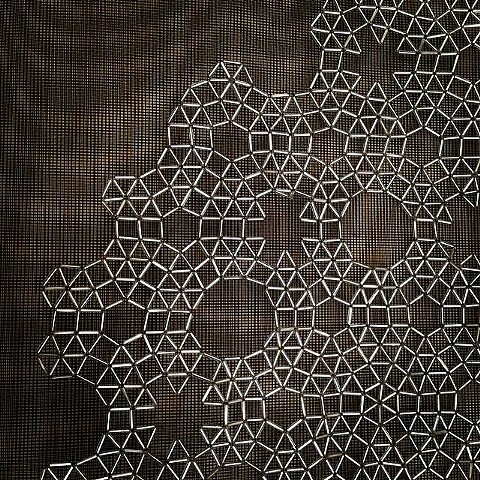 The products explored geometries and symbols. www.dropbox.com/s/pit9qie92lwtc62/Invit? SACRED GEOMS Jewellery Exhibition au.blurb.com/books/2886293-sacred-geoms? Design Research Processes Exhibition Group exhibition at Ivan Dougherty Gallery, College of Fine Arts at the University of New South Wales, of artists and designers from the Faculty of the Built Environment, at UNSW, curated by Tom Loveday, Sydney, UNSW College of Fine Arts (with Quinlan A., Yip, M., and Pin, R). Exhibition at the Connected 2007 International Conference on Design Education, 9 - 12 July 2007, Sydney, University of New South Wales (with Quinlan, A., Yip, M., Pin, R., Marshall, N., Watson, B., Evans, C., Corkery, L., Starfield, S., and Zou, P). 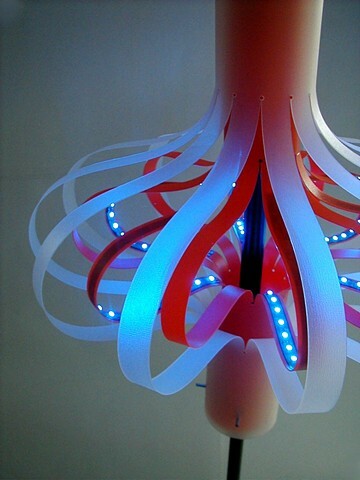 OSRAM New Ideas in LED Luminaire Design Show 2001 Exhibition of three different lamp designs. OSRAM Australia Pty Limited, AV Jennings Building, Pennant Hills, NSW. Sydney Morning Herald Young Designer of the Year Award, Exhibition of all Finalists, Sydney Design Week 2000: Powerhouse Museum. Designer’s Odyssey’98 Exhibition, TÜYAP Fair Convention and Congress Center, 11-15 November 1998, Istanbul - Beylikdüzü.